12 3/4 by 16 1/8 in. 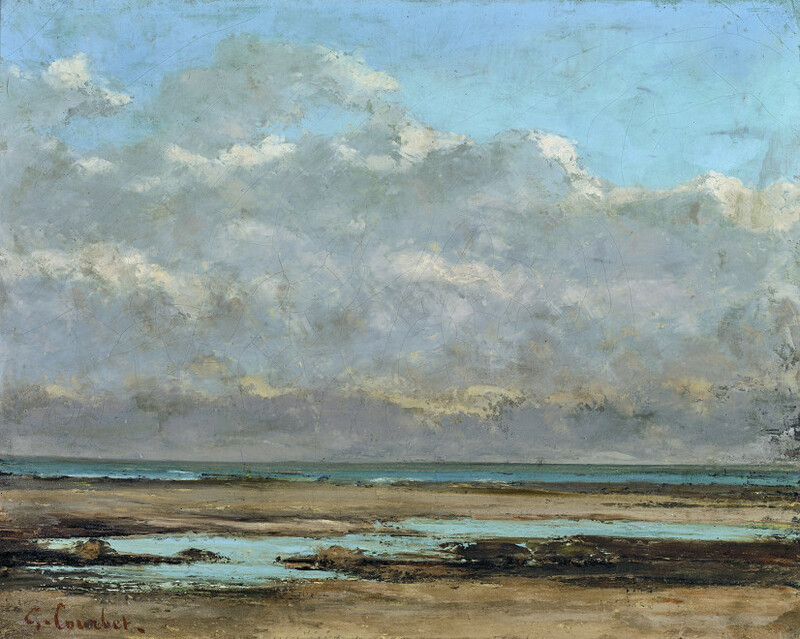 Starting in 1865, Courbet made many visits to the Normandy coast and seascapes became one of his favorite subjects. 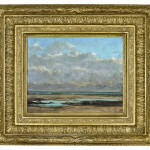 He was introduced to the genre by Eugène Boudin who was a leading painter of beach and sea scenes. Seacapes quickly became something of a preoccupation for Courbet and he rapidly achieved commercial success with them. Courbet's seacapes were largely devoid of people, ships, or narrative. In 1882, the influential art critic, Castagnary, wrote, "Before [Courbet] marine painters dealt with ships and vessels; they did not deal with sea, with sky strokes." 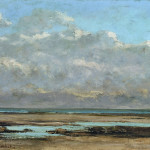 Courbet's seascapes are generally categorized as "marines" or "waves." The "marines" usually depict calm seas at low tide and focus on color and beauty while the "waves" focus on crashing waves and the power of the sea. Both styles can approach the edges of abstraction and thus they represent a looking forward to what art will become versus looking to the art of the past. Courbet's obsession with the sea culminated with the exhibition of two of his seascapes at the Salon of 1870. Both of these paintings, The Etretat Cliffs after the Storm and The Stormy Sea, can be found today at the Musée d'Orsay. 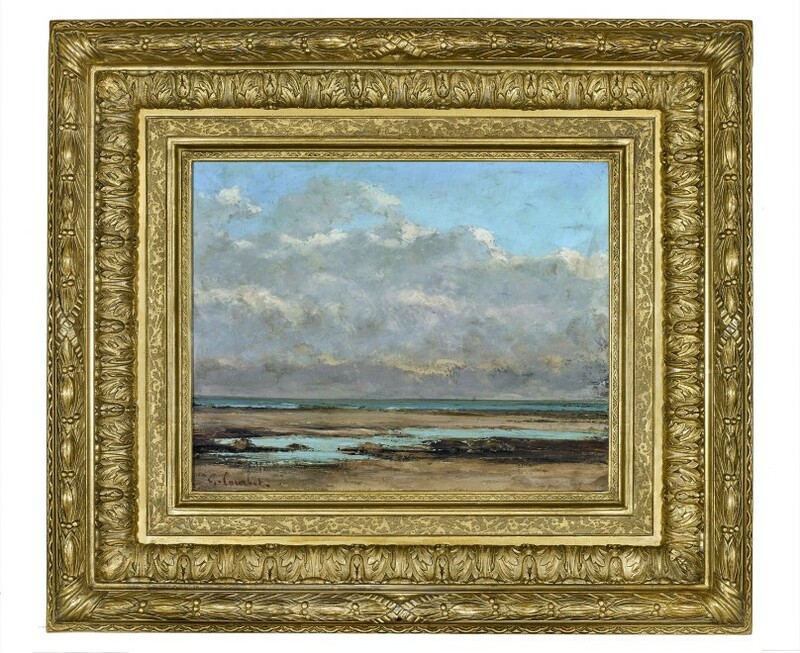 This painting was authenticated by the Comité Courbet on December 3, 2017 and will be included in the forthcoming catalogue raisonné.